Yoshida was formerly a star pitcher, but kept failing as a pro pitcher. He made a deal with an opposing team so they would do poorly when batting against him, which turns out to be Saikawa's plan. He ends up as Saikawa's "dog" and under his orders, attempts to sabotage Toua. 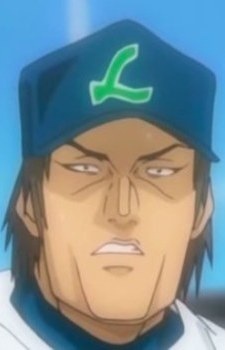 He leaves the team after being inspired by Toua's words that a low percentage chance means it's not 0%, and leaves to retrain and try to restart his baseball career in America.